The top dentist in NYC recommends brushing your teeth at least twice per day. Make sure to also schedule a professional teeth cleaning bi-annually to keep your teeth and gums healthy and beautiful. Toothpaste is essential for taking care of the teeth and gums. When you brush, be sure to select a toothpaste that is high in fluoride. Fluoride helps strengthen tooth enamel and fight decay. You can also find other active ingredients depending on your needs. Potassium nitrate is recommended by the top dentist in NYC for patients with sensitivity to hot and cold. Pyrophosphates help reduce plaque build-up and wards off cavities. Do you need a dentist appointment near NYC? Visit Park 56 Dental for the best dentist in NYC . We offer dental cleaning in addition to emergency dental care and even offer sedation dentistry if visiting a dentist makes you feel anxious. For an appointment, call (646) 783-3529. Fillings are among the most commonly undertaken dental procedures. They help to protect damaged teeth from further decay. At Park 56 Dental, we offer dental fillings serving NYC . There are a number of different types of fillings to choose from, to suit the patient’s individual needs. Traditional, non-bonded, amalgam fillings are made from a mixture of mercury and other metals. One of the most economical choices, amalgam fillings are strong and durable and can last up to a decade. Amalgam fillings are often used on back teeth, where their metallic color is less noticeable. Composite resin fillings are discreet and fairly durable. Since the resin bonds directly with the tooth, it can actually strengthen the tooth. Special care must be taken when applying the resin. Resin fillings are a little more expensive than amalgam ones and slightly less hardwearing. Gold is an extremely tough material. Gold fillings are therefore especially durable. Unlike mercury amalgam, gold will not corrode over time. However, gold is relatively expensive. Having a gold filling fitted may require more than one dental visit. Gold is most commonly used for inlays, onlays, and crowns. Ceramic fillings are generally made of porcelain. They are tooth colored and therefore discreet. They are also less prone to staining or wear than amalgam fillings. As ceramic is relatively material, ceramic fillings must be of a certain thickness to prevent breakage. Made from a mixture of acrylic and fluoroaluminosilicate, a component of glass, these fillings are often recommended for patients with extensive root decay or caries. Glass ionomer is also often used on baby teeth and to line other types of fillings. These fillings bond with the tooth, preventing further decay. They also release fluoride, helping to strengthen teeth. Glass ionomer is less durable than composite resin, however. At Park 56 Dental, we offer a variety of different kinds of fillings. To find out more about the best treatment option for you, visit our website, or call us at (646) 783-3529 to schedule an appointment. There are few things as attractive as a bright, gleaming, white smile. However, aging, hereditary, dietary habits, smoking, and certain prescription medications may all cause staining or yellowing of teeth. Many patients opt to visit a top dentist in NYC for whitening treatments to restore the luster of their smile. Whitening procedures are not permanent. However, there are a number of steps you can take to maintain the white appearance of your teeth for as long as possible between dental visits. To prevent discoloration , minimize your consumption of certain foods and drinks. Coffee, tea, and wine, as well as some fruit juices, can all stain teeth. Reduce your intake of these fluids or consider drinking them through a straw to reduce exposure to the liquid. Using tobacco can also stain your teeth. Certain prescription medications may cause tooth discoloration as a side effect. If you are on medication, ask your doctor whether it may be adversely affecting the appearance of your teeth. If this is the case, consult your physician to find out whether alternative, non-staining medications would be an appropriate option for you. To maintain teeth in optimum condition, brush at least twice daily and floss once daily. Rinse with a fluoride mouthwash. 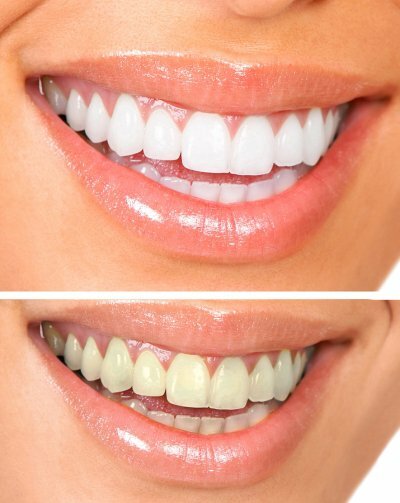 Use a whitening toothpaste no more than once a week. Whitening toothpastes help remove staining, but can be abrasive and may cause damage if used too frequently. Schedule regular dental appointments to make sure your teeth remain in optimum health. Your dentist may also be able to provide additional touch-up whitening treatments to help maintain the color of your teeth. At Park 56 Dental , we offer professional whitening treatments, using Zoom! whitening gel. To find out more, visit our website, or call us at (646) 783-3529 to schedule an appointment. Let us help you keep your pearly whites dazzling and bright.